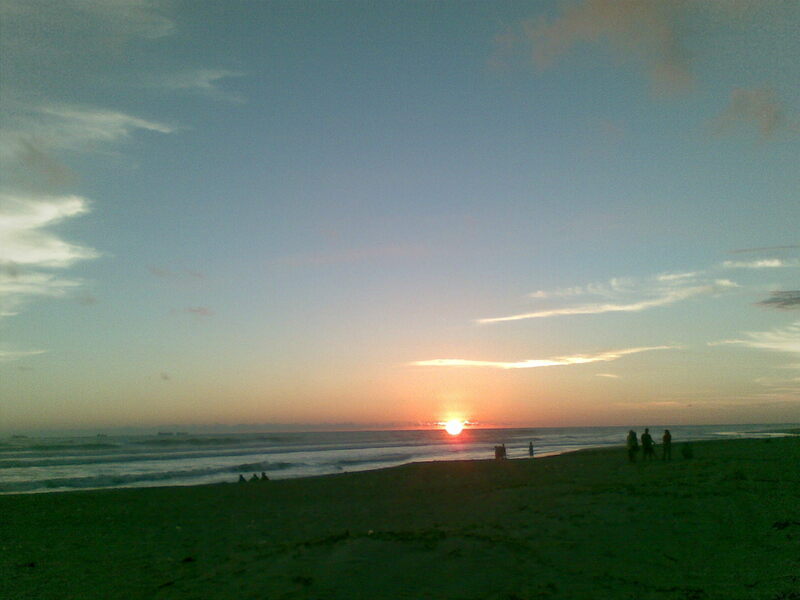 Pantai Panjang (Long Beach) in Bengkulu may not be as popular Parangtritis in Yogyakarta or Bali's Kuta Beach. 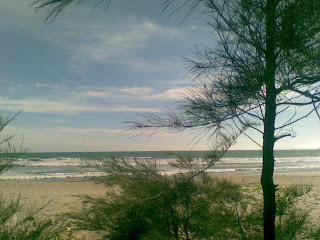 But it would worth if you visited Bengkulu, took time to place this tour. 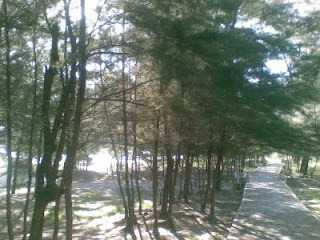 The atmosphere of beach is quiet, not too crowded. The facilities provided are also quite complete enough, there is also a supermarket near the beach, so you can shopping while enjoying the beauty of Long Beach. 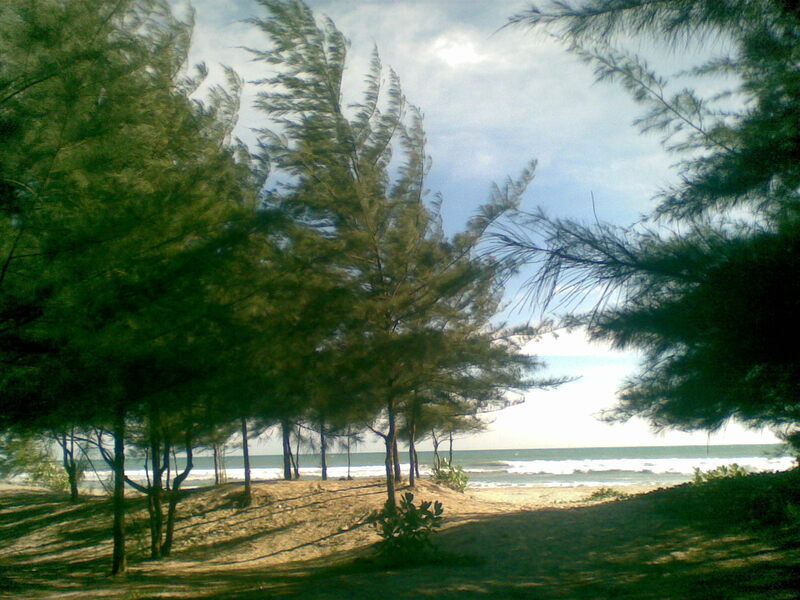 Pine trees provide shade along the beach looking at surf. Benches are also provided with snacks sellers nearby. Food and beverage prices are still affordable. O yes, in Bengkulu is still rarely seen souvenir sellers, maybe the local government or other concerned parties to seek progress invigorate tourism one of them with souvenir artisans. Hotel facilities already available, there is also a cottage near the beach. Suitable for you who are honeymoon:). Hotel class jasmine average cost of around Rp. 130 thousand. Appear not to have five-star hotel in the city of Bengkulu. Joging track disepanjang pantai, jalan-jalan sore atau lari santai sambil cuci mata :).